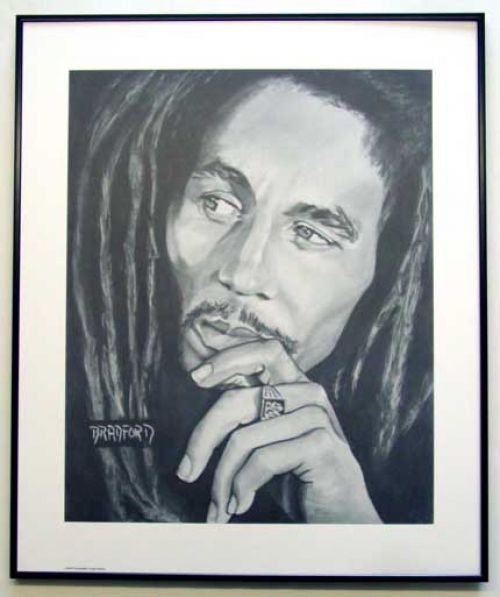 A stunning large 24" x 20" charcoal print of Bob Marley. Framed in a top quality Nielsen 24inches x 20inches (61cms x 51cms) Black Aluminium Frame and covered with plexi-glass (which doesn�t break like glass). Another GREAT Item from Everything Collectible, Inc. Est. 1998.